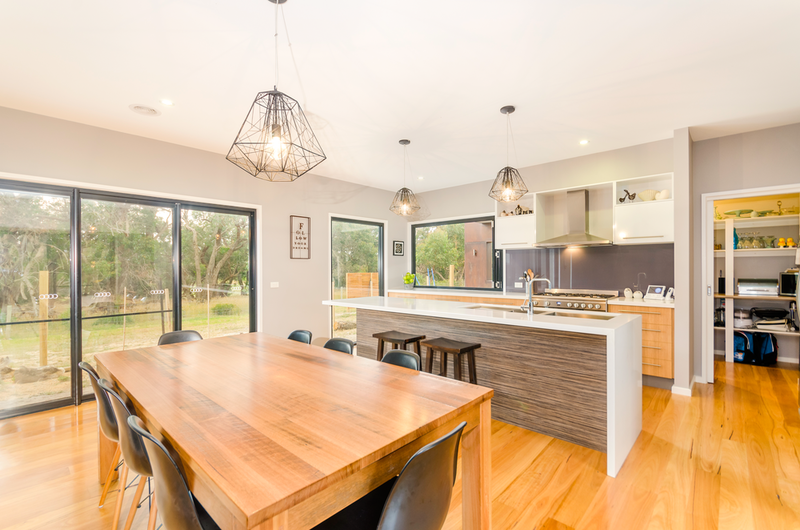 This stylish rural retreat was designed to make the most of the ample space offered by the large block. 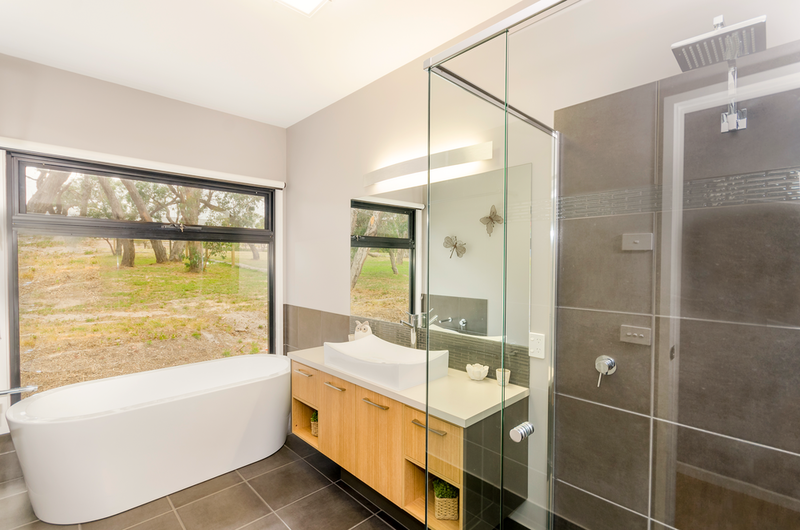 The home’s footprint was carefully situated to capture the natural beauty of the bush-like landscape with large windows to take in the view. The use of mixed materials on the building’s exterior including cladding, timber and render combined with the muted colour palette further help it blend into its surrounds. Inside, careful consideration was given to the busy family’s lifestyle and the desire to create separate zones for both parents and children, separating the master bedroom from the children’s rooms to create an unofficial parent’s retreat. 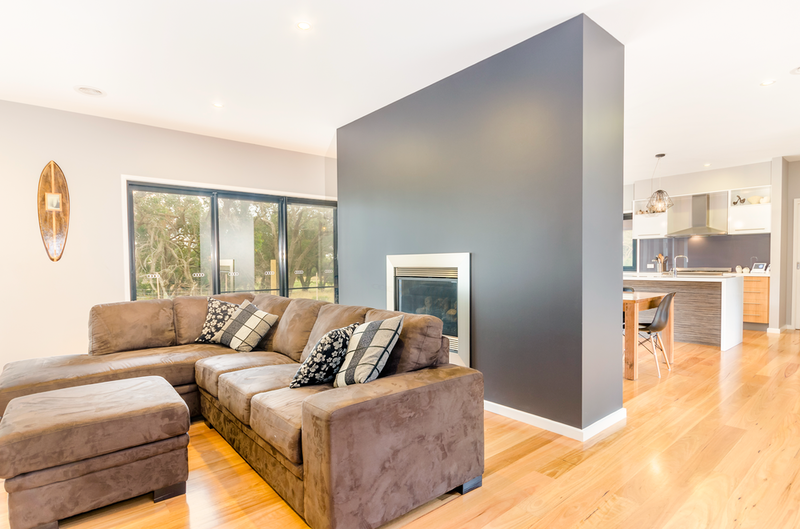 The inclusion of two separate living areas offers fantastic flexibility with options for both entertaining and relaxing in different parts of the house.